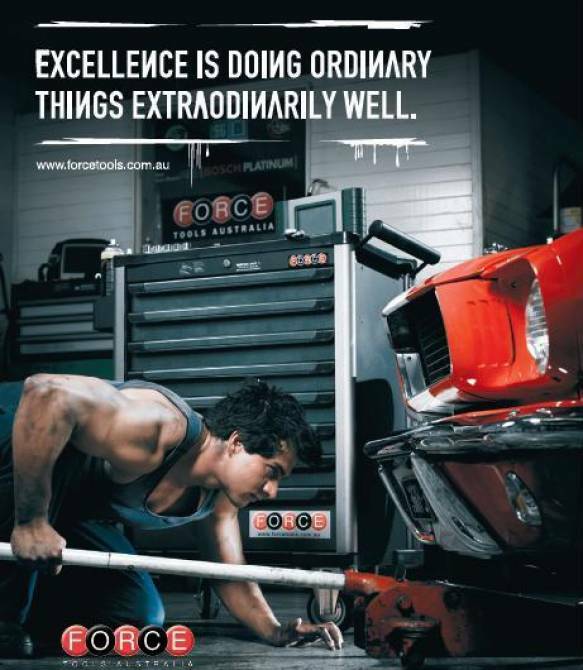 We at FORCE TOOLS AUSTRALIA acknowledge and appreciate that for most people, establishing a new business is a life changing decision. Accordingly, we have sought to provide a detailed and thorough analysis to ensure accurate understanding of all aspects of the business opportunity. We are seeking enthusiastic and dedicated people to support and grow our expanding network, to benefit from partnering with our team to enjoy new found freedom and success. To assist you in making an informed decision of the suitability of the FORCE TOOLS Distributorship, we would be pleased to meet with you, answer your questions and provide valuable guidance and insight for your consideration. These are all key elements of the proven Force Tools Distribution Program. a simple, compact, flexible business combined with huge financial reward potential and remarkable affordability. A Force Tools Distributor has the freedom to take the “shop” mobile, be their own boss, enjoy flexible hours and possesses the ability to vary income without the restrictions of a permanent location, associated rent and expensive outgoings. There can be significant taxation advantages in utilising your place of residence as your base and home office but we recommend you seek professional advice regarding specific aspects. Force Tools Australia enjoys a strong affiliation with the Victorian Automobile Chamber of Commerce (VACC) and is pleased to align and compliment the excellent service, advice and support, VACC offers their members. VACC and Force Tools have partnered to support and supply the Apprenticeship Programs, seeking to encourage and sponsor education and greater professional skill. VACC has immense integrity and high profile in the Automotive and wider Industry, offering substantial credibility to our Force Tools Distributors. Initial outlay and cost is always a major consideration when venturing into business. to aspiring individuals and families, at an affordable and low-entry level investment. Premium product – speaks for itself! Click here to register your interest with our territory team.